American heiress, Corina Del Rey, has a secret that no one knows. She was once married to a prince who she was in love with, but that was a long time ago. The marriage was annulled and she can go on with her life, except she still can’t escape her family falling part after her brother was killed in action. Her journalistic tenacity says that there’s a story there and just wants to know how and why her brother died. She doubts she’ll ever see the prince again. Prince Stephen of Brighton Kingdom is a war-veteran-turned-star-professional-rugby-player. Although he tries to forget the past tragedies that came with war, he is still haunted by a secret and survivor’s guilt. Just as he determines to grow up and take his place as prince, he receives a notice saying that he is still married. If he wants the marriage to be annulled, he and his wife will need to make an appearance before the courts. What will happen now? Can Stephen track down Corina in time before his coronation? If he finds her, can he tell her the truth about why he left her? Can she ever forgive him? Can he ever forgive himself? I absolutely LOVE this series. Rachel Hauck is such a talented writer. I am always so impressed with her characters. Corina and Stephen are characters who seem so real and endearing. I had no problem taking a few hours to completely submerge myself in the story. I always enjoy Hauck’s writing because she doesn’t shy away from the faith aspects. Your worth is not determined by who you are or what you do, even what you don’t do. It’s determined by the work of your Savior. If our Lord bore the cross to declare you worthy, then indeed you are, and nothing–not war, nor death, regrets, injury, broken hearts, or tabloid headlines–can change it. Only if you choose not to accept it. We all go through hard times where we question our worth, our identity. I love how the story addresses both Stephen’s and Corina’s insecurities. 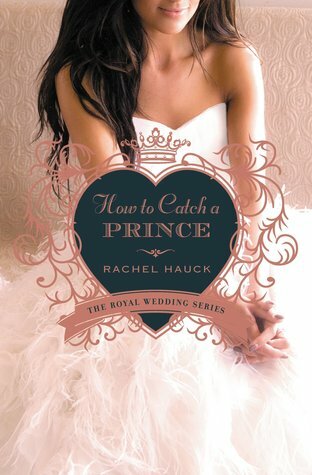 I highly recommend this book to anyone who enjoys contemporary romance, especially involving royalty.